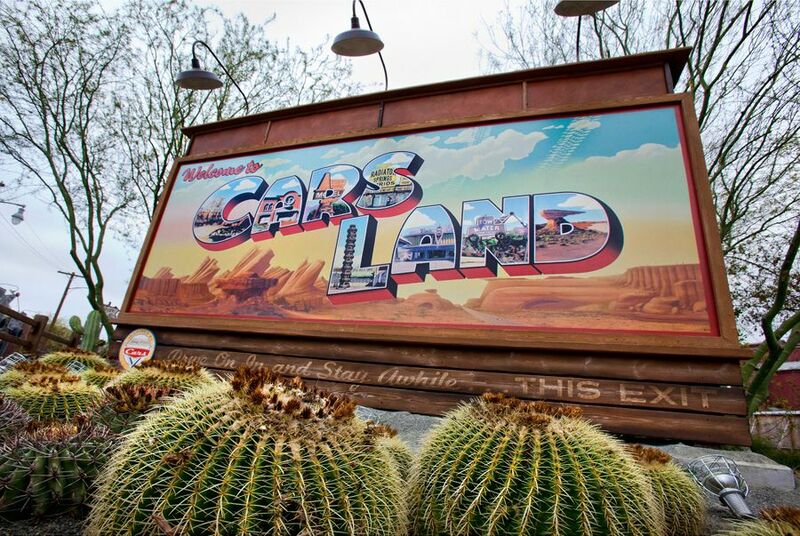 With Cars Land came a significant investment in new entertainment, shops and food offerings. Cars Land in and of itself can entertain you for almost an entire day. Especially if you factor in how long some of the lines can be! Take the time to enjoy the splendor of Radiator Springs. It’s a good idea to even watch the movie Cars again so that you can be truly immersed in the wonder of this majestic jewel situated along Route 66. Great for all that, but what rides are there in Cars Land? The most popular of course is Radiator Springs Racers, this is where you can spend a lot of time in line. There’s Luigi’s Flying Tires which are just right for those who don’t want a thrill ride. These “tires” float on air and you use your own body to steer the tires. These tires are fairly slow moving and are kinda bouncy. There is also Mater’s Junkyard Jamboree. You can hop into your favorite tractor, as they are all different, and do some Do-Si-Does around the Junkyard while Mater calls out the dance moves from inside his barn… Mater is busy so don’t expect to see him come out to visit, he’s got to keep the dance going! He and his buddy Lightning do come out for photos and conversations at times. They hang out along Route 66 of Cars Land. In addition to rides, Cars Land offers a few shops like Sarge’s Surplus hut, the place to get your Radiator Springs t-shirts. Further into Cars Land you’ll find Radiator Springs Curios. You can get your own Mickey Mouse Route 66 sign here among other cool items. What about some body art? Head on in to Ramone’s House of Body Art for some cool tops and other great items to trick out your ride… (your body ride, not so much your car). I’m hungry! Do I have to head to Pacific Wharf to eat or can I grab something in Cars Land? Why yes come on down Route 66 to Flo’s V8 Cafe for some tasty grub! Flo’s is open for Breakfast, Lunch and Dinner. She’s ready to serve you up a variety of grub hot off the grill. If you’re not in the mood for a bigger meal now, head back north on Route 66 to Filmore’s Taste In for some fruity concoctions and healthy snacks. Last food stop along Route 66 is The Cozy Cone Motel where they will get you a cone-tastic ice cream treat! Sally also has many other tasty treats and can even give you a quick breakfast, all you gotta do is ask.